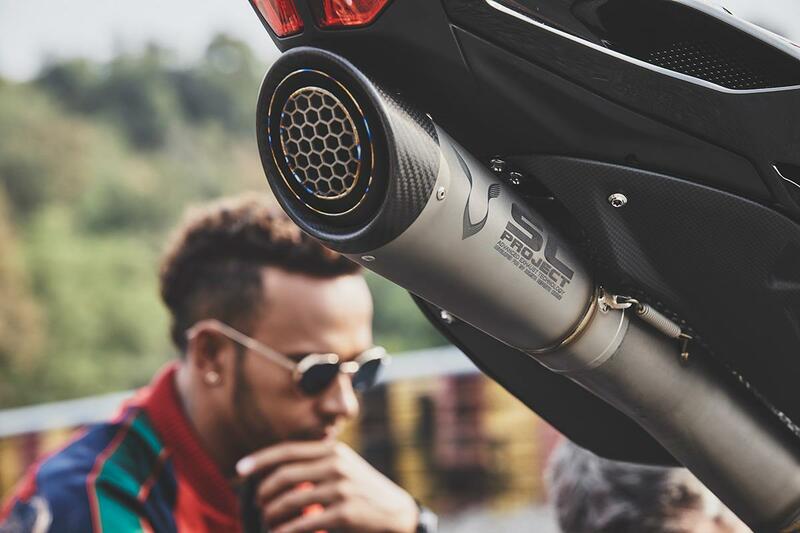 MV Agusta and Formula One star Lewis Hamilton have again teamed up to release a special edition bike, the latest one being the F4 LH44, which MV Agusta have now officially unveiled. 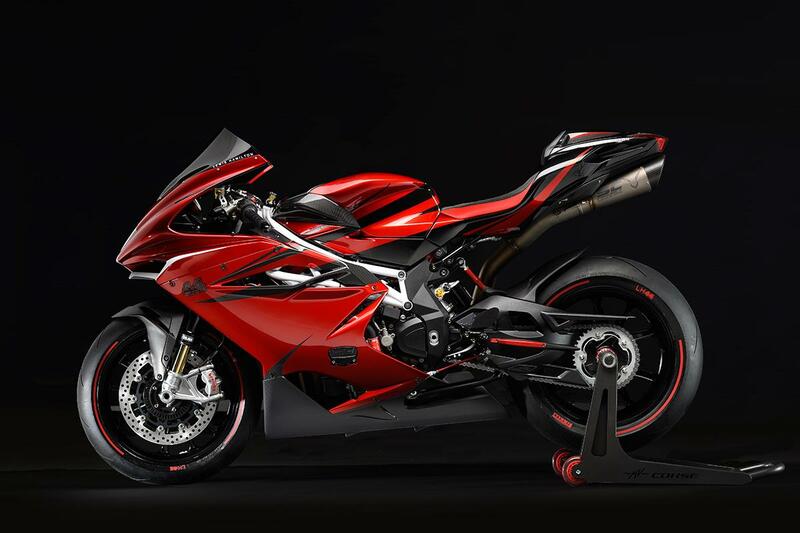 The bike will cost £53,900. 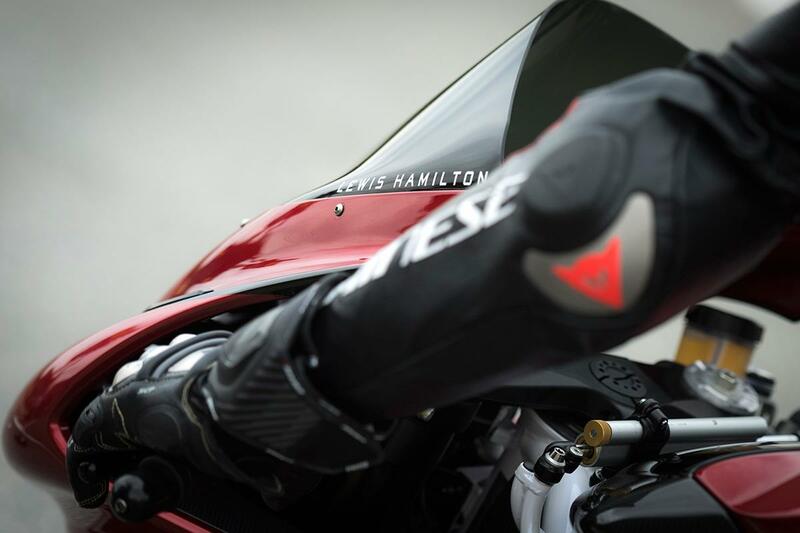 Hamilton teased the new bike with a Twitter post to his 4.85 million followers saying the new bike will be unveiled today. 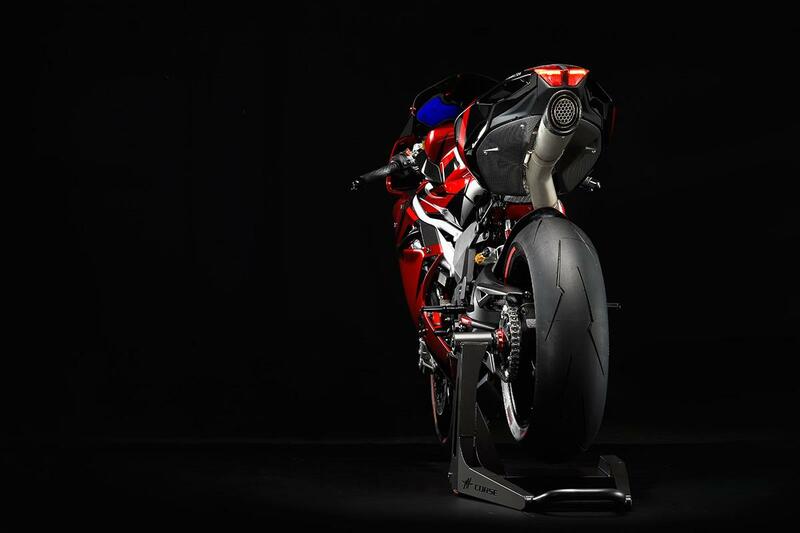 The new bike is based on the 205bhp F4 RC and comes with a kit that includes a titanium silencer and control unit to boost power to 212bhp. 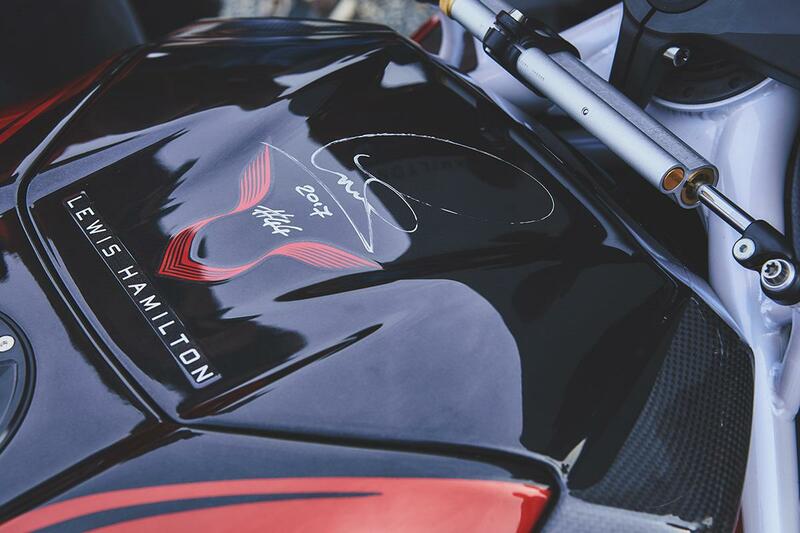 Lewis Hamilton's panther logo is also featured on the bike. 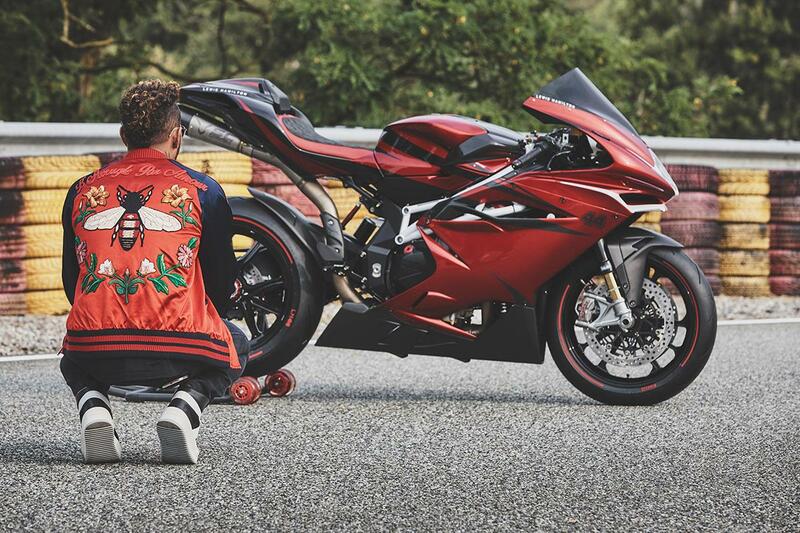 The new bike is finished in the same Candy Apple Red colour as MV and Hamilton's previous special, the Dragster RR LH44 and also features a pearl white frame. 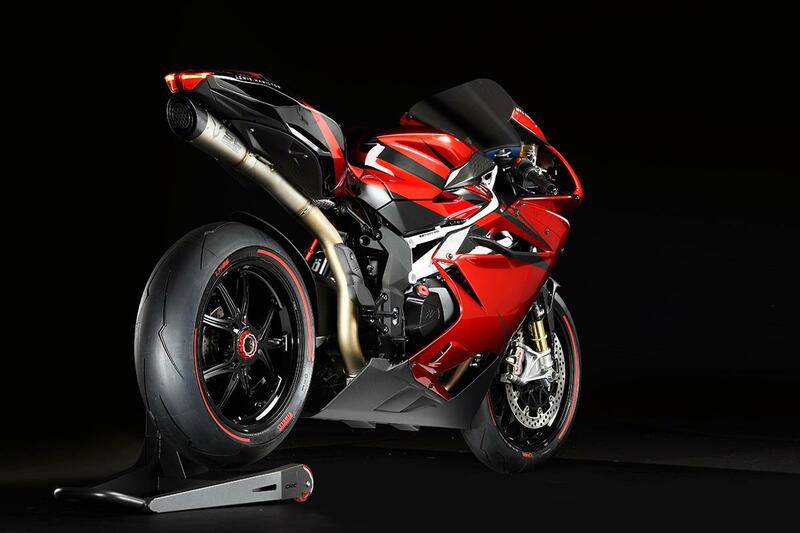 MV Agusta came to an agreement with suspension manufacturer Ohlins to colour the forks and rear shock black instead of the usual gold. 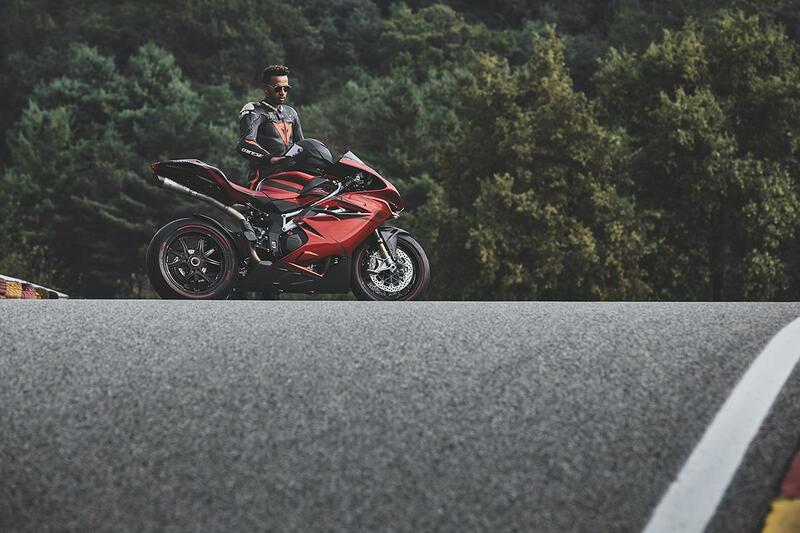 The seat is a mix of leather and Alcantara, while the engine is completely black. 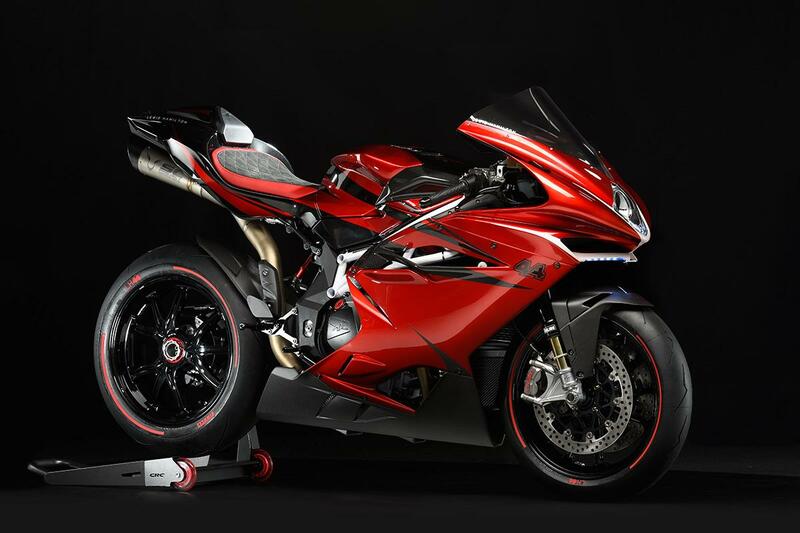 The fairings are made from carbon fibre and there's also a racing-style fuel cap, forged wheels and a CNC-machine rear wheel nut. 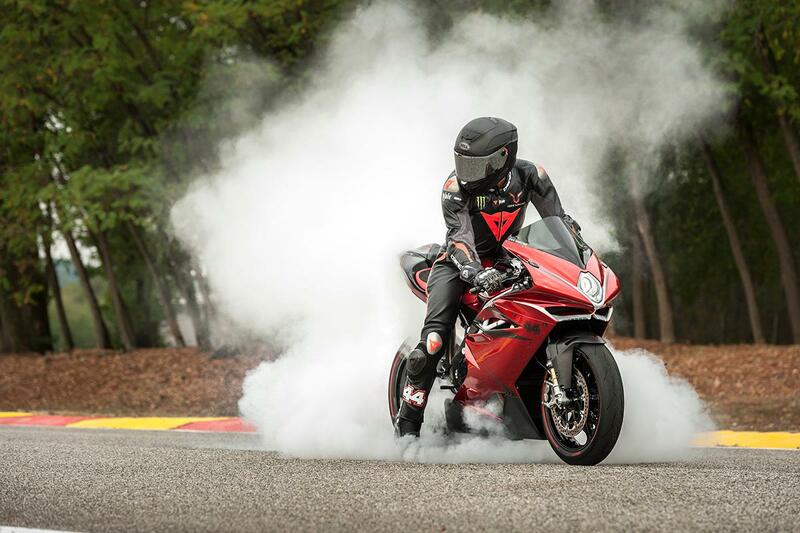 Even the tyres on the bike are exclusively designed Pirelli Supercorsa SPs with red sidewalls and the LH44 logo. 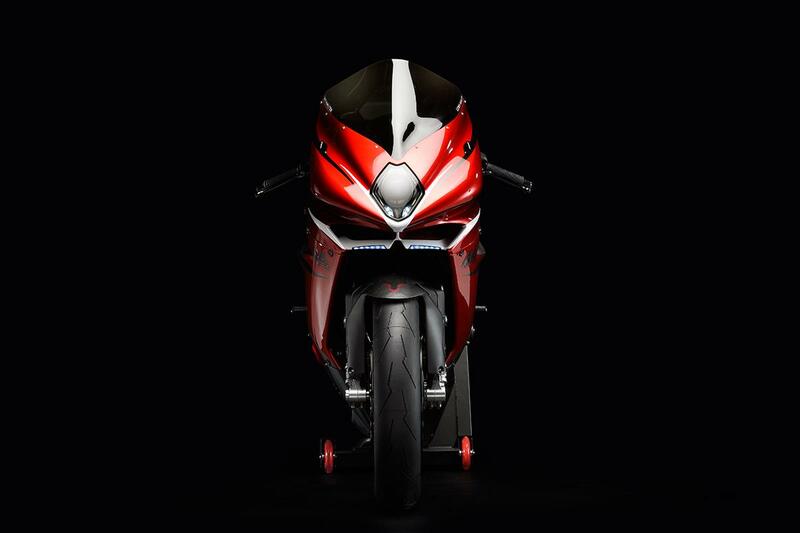 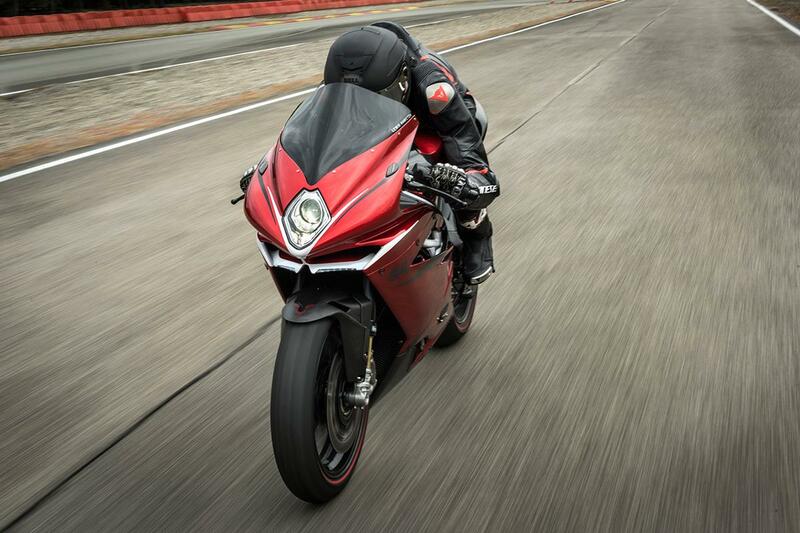 "I am very excited to continue my partnership with MV Agusta. 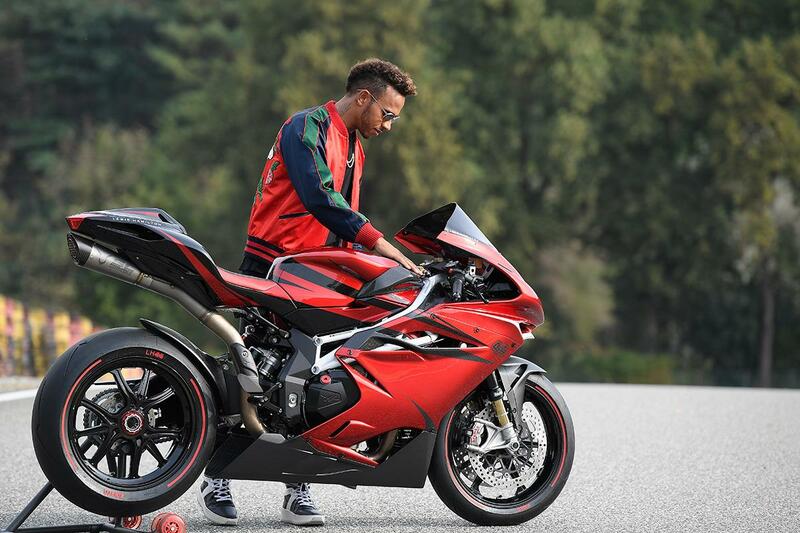 I love working with Giovanni and the guys at MV Agusta, their passion for engineering and attention to detail produces stunning, original looking bikes," said Hamilton. 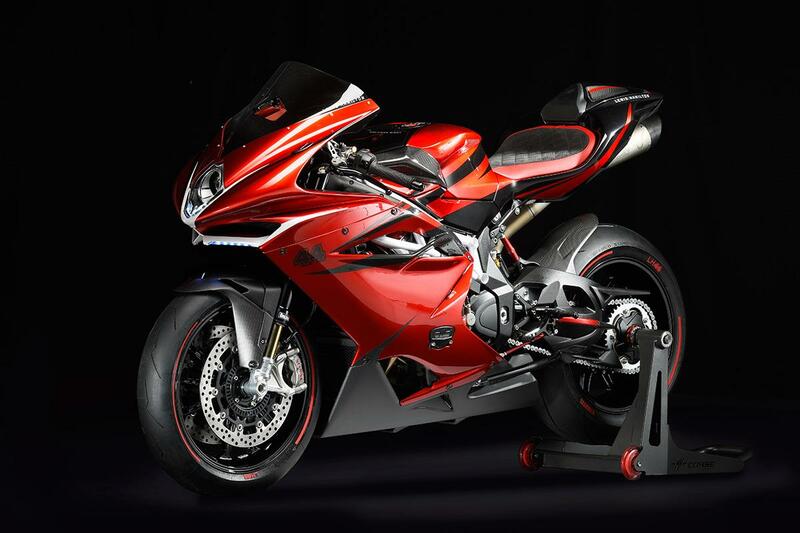 "My projects with MV Agusta are a great way to combine my love of riding bikes with my interest in creative design process so I am very much involved with the CRC design team throughout. 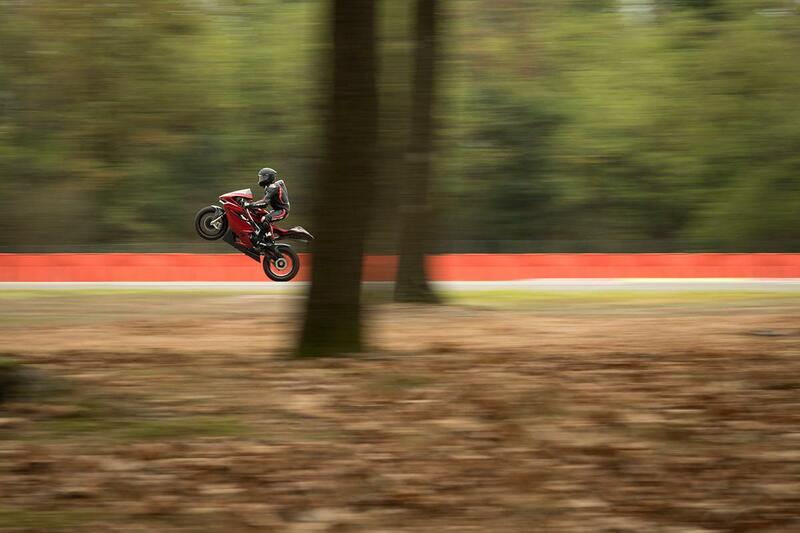 I am particularly excited to introduce my new bike, the F4 LH44. 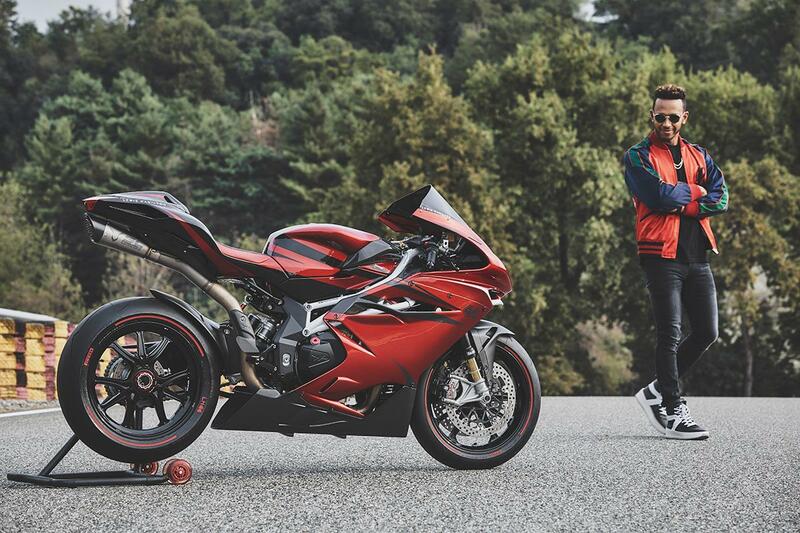 It looks quite stunning and I had the pleasure of riding on track a few weeks ago in Italy, it feels great and combines the best of both worlds, a race bike for the road! 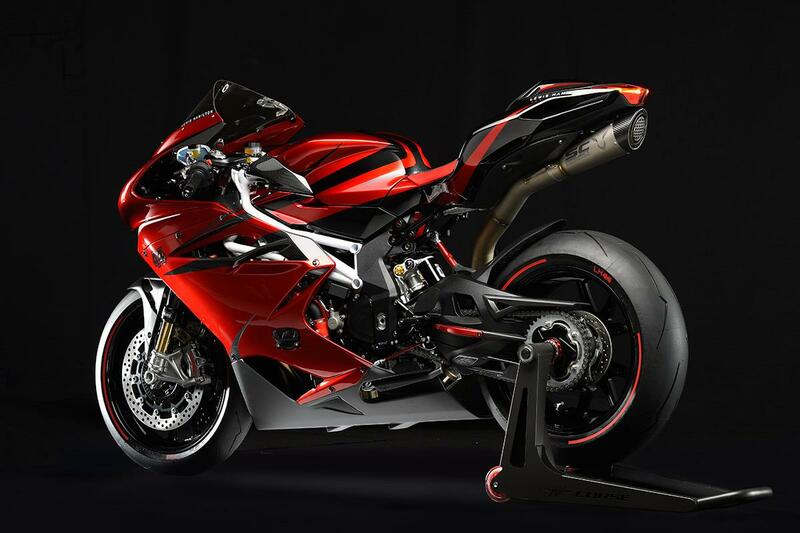 There will be 44 bikes produced so I hope the lucky owners will love it as much as I do." 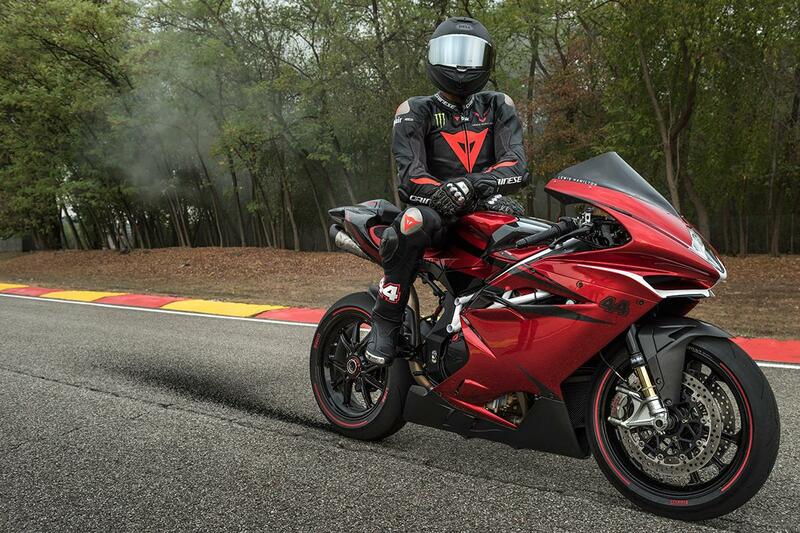 Prices are yet to be confirmed for the model, but with only 44 examples to be built, we don't imagine it'll be cheap. 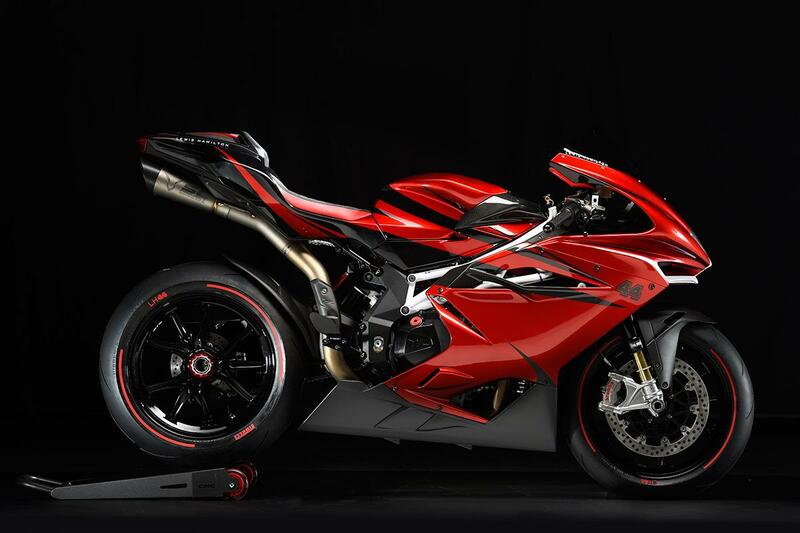 Earlier this month the investment deal to secure MV's future was completed, with Giovani Castiglioni now back in control of the historic Italian brand.